There is no question that language influences marketing success; positioning software products has been a game of out-shining competitors with clever slogans and crafty coined terminology. Having been engaged with search technologies since 1974, and as the architect of a software application for enterprise content indexing and retrieval, I’ve observed how product positioning has played out in the enterprise search market over the years. When there is a new call for re-labeling “search,” the noun defining software designed for retrieving electronic content, I reflect on why and whether a different term would suffice. Here is why a new term is not needed and the reasons why. For the definition of software algorithms that are the underpinning of finding and retrieving electronic content, regardless of native format, the noun search is efficient, to-the-point, unambiguous and direct. We need a term that covers this category of software that will stand the test of time, as has automobile, which originated after terms too numerous to fully list had been tested: horseless buggy, self-contained power plant, car, motor vehicle, motor buggy, road engine, steam-powered wheeled vehicles, electric carriage, and motor wagon to name a few. Finally a term defined as a self-powered vehicle, was coined, “automobile.” It covered all types of self-powered “cars,” not just those pulled by another form of locomotive as is a rail car. Like the term “search,” automobiles are often qualified by modifiers, such as “electric,” “hybrid” or “sedan” versus “station wagon.” Search may be coupled with “Web” versus “Enterprise,” or “embedded” versus “stand-alone.” In the field of software technology we need and generally understand the distinctions. So, I continue to be mystified by rhetoric that demands a new label but I am willing to concede where we need to be more precise, and that may be what the crowd is really saying. When and where the term is applied deserves reconsideration. Technologists who build and customize search software should be able to continue with the long established lingo, but marketers and conferences or meetings to educate a great variety of search users could probably do a better job of expressing what is available to non-techies. As one speaker at Enterprise Search Europe 2013 (ESEu2013) stated and others affirmed, “search” is not a project and to that I will add, nor is it a single product. Instead it is core to a very large and diverse range of products. Vendors are obviously aware of where they need to be marketing and the need to package for their target audience. There are three key elements that have contributed to ambiguity and resulted in a lethargic reaction in the so-called enterprise search marketplace in recent years: overly complex and diffuse categorization, poor product labeling and definition, and usability and product interface design that does not reflect an understanding of the true audience for a product. What can be done to mitigate confusion? Categorizing what is being offered has to speak to the buyer and potential user. When a single product is pitched to a dozen different market categories (text mining, analytics, content management, metadata management, enterprise search, big data management, etc.) buyers are skeptical and wary of all-in-one claims. While there are software packages that incorporate many or elements of a variety of software applications, diffusion ends up fracturing the buying audience into such minute numbers that a vendor does not gain real traction across the different types of needs. Recommendation: a product must be categorized to its greatest technical strengths and the largest audience to which it will appeal. The goal is to be a strong presence in the specific marketplaces where those buyers go to seek products. When a product has outstanding capabilities for that audience, buyers will be delighted to also find additional ancillary functions and features that are already built in. Software that is built on search algorithms or that embeds search must be packaged with labeling that pays attention to a functional domain and the target audience. Clear messaging that speaks to the defined audience is the wrapper for the product. It must state what and why you have a presence in this marketplace, the role the product plays and the professional functions that will benefit from its use. Messaging is how you let the audience know that you have created tools for them. Product design requires a deep understanding of professional users and their modes of pursuing business goals. At ESEu2013 several presentations and one workshop focused on usability and design; speakers all shared a deep understanding of differences across professional users. They recognized behavioral, cultural, geographic and mode preferences as key considerations without stating explicitly that different professional groups each work in unique ways. I assert that this is where so many applications break-down in design and implementation. Workflow design, look-and-feel, and product features must be very different for someone in accounting or finance versus an engineer or attorney. Highly successful software applications are generally initiated and development is sustained by professionals who need these tools to do their work, their way. Without deep professional knowledge embedded in product design teams, products often miss the market’s demands. Professionals bring know-how, methods and practices to their jobs and it is not the role of software developers to change the way they go about their business by forcing new models that are counter to what is intuitive in a market segment. Attention to better software definition leads to the next topic. Attention to conference and meeting content was the reason for this post. Having given an argument for keeping the noun search in our vocabulary, I have also acknowledged that it is probably a failed market strategy to label and attach messaging to every software product with search as either, enterprise search or web search. Because search is everywhere in almost every software application, we need conferences with exhibits that target more differentiated (and selective) audiences. The days of generic all-in-one meetings like AIIM, the former National Online Meeting (Information Today’s original conference), E2, and so on may have run their course. As a failed conference attendee, my attention span lasts for about one hour maximum, and results in me listening to no more than a half dozen exhibitor pitches before I become a wandering zombie, interested in nothing in particular because there is nothing specific to be drawn to at these mega-conferences. I am proposing a return to professionally oriented programs that focus on audience and business needs. ESEu2013 had among its largest cohort, developers and software implementers. There were few potential users, buyers, content or metadata managers, or professional search experts but these groups seek a place to learn about products without slides showing snippets of programming code. There is still a need for meetings that include the technologists but it is difficult to attract them to a meeting that only offers programming sessions for users, the people for whom they will develop products. How do we get them into a dialogue with the very people for whom they are developing and designing products? How can vendors exhibit and communicate their capabilities for solving a professional problem when their target professional audience is not in the room. At Enterprise Search Europe 2013, the sessions were both diverse and enlightening but, as I noted at the conference wrap-up, each track spoke to a unique set of enterprise needs and variety of professional interests. The underlying technology, search, was the common thread and yet each track might have been presented in a totally different meeting environment. One topic, Big Data, presents challenges that need explaining and information seekers come to learn about products for effectively leveraging it in a number of enterprise environments. These cases need to be understood as business problems, which call for unique software applications not just some generic search technology. Big data can and is already being offered as a theme for an entire conference where the emphasis on aspects of search technology is included. As previously noted topics related to big data problems vary: data and text mining, analytics, semantic processing aka natural language processing, and federation. However, data and text mining for finance has a totally different contextual relevance than for scientists engaged in genomics or targeted drug therapy research, and each audience looks for solutions in its field. So, let’s rethink what each meeting is about, who needs to be in the room for each business category, what products are clearly packaged for the audience and the need, and schedule programs that bring developers, implementers, buyers and users into a forum around specially packaged software applications for meaningful dialogue. All of this is said with sincere respect for my colleagues who have suggested terms that range from “beyond search” to “discovery” and “findability” as alternative to “search. Maybe the predominant theme of the next Enterprise Search conference should be Information Seeking: Needs, Behaviors and Applications with tracks organized accordingly. Two excellent postings by executives in the search industry give depth to the importance of Dassault Système’s acquisition of Exalead. If this were simply a ho-hum failure in a very crowded marketplace, Dave Kellogg of Mark Logic Corporation and Jean Ferré of Sinequa would not care. Instead they are picking up important signals. Industry segments as important as search evolve and its appropriate applications in enterprises are still being discovered and proven. Search may change, as could the label, but whatever it is called it is still something that will be done in enterprises. This analyst has praise for the industry players who continue to persevere, working to get the packaging, usability, usefulness and business purposes positioned effectively. Jean Ferré is absolutely correct; the nature of the deal underscores the importance of the industry and the vision of the acquirers. As we segue from a number of conferences featuring search (Search Engines, Enterprise Search Summit, Gilbane) to broader enterprise technologies (Enterprise 2.0) and semantic technologies (SemTech), it is important for enterprises to examine the interplay among product offerings. Getting the mix of software tools just right is probably more important than any one industry-labeled class of software, or any one product. Everybody’s software has to play nice in the sandbox to get us to the next level of adoption and productivity. Here is one analyst cheering the champions of search and looking for continued growth in the industry…but not so big it fails. Just in from Information Week is this article (Exclusive: IBM Reorganizes Software Group ) that prompted me to launch 2010 with some thoughts on where we are heading with enterprise search this year. When IBM does something dramatic it impacts the industry because it makes others react. I don’t make forecasts or try to guess whether strategic changes will succeed or fail but a couple of years ago, I blogged on IBM’s introduction of Yahoo OmniFind, a free offering and then followed up with these comments just a few months ago. IBM makes their competitors change, try to outsmart, outguess, or copy, just as Microsoft or Google changes cause ripples in the industry. Meanwhile, OpenText, another large software company with search offerings, is not going to offer search outside of its other product suites. [More is likely to come out after the scheduled analyst meetings today but I’m not there and can’t brief you on deeper intent.] We have recently seen an announcement about FAST being delivered with new SharePoint offerings, the first major release of FAST announced since Microsoft acquired them almost two years ago. While FAST is still available as a standalone product from MS, it and other search engines may be steadily moving into being embedded in suites by their acquirers. Certainly IBM has a lot of search components that they have acquired, so continuing to bind with other content offerings is a probable strategy. Oracle and Autonomy may soon come up with similar suite offerings embedding search once again. Oracle SES (Secure Enterprise Search) does not appear to have a lot of traction and it’s possible that supporting pure search offerings may be a burden for Autonomy with its stable of many acquired content products. All of this leads me to think that, since enterprise search has gotten such a bad reputation as a failed technology, the big software houses are going to bury it in point solutions. Personally, I believe that enterprise search is a failed strategy and SMBs can still find search engines that will serve the majority of their enterprise needs for several years to come. The same holds true for divisions or groups within large corporations. Guidance: select and adopt one or more search solutions that fit your budget for small scale needs, point solutions and enterprise content that everyone in the organization needs to access on a regular basis. Learn how these products work, what they can and cannot deliver, making incremental adjustments as needs change and evolve. Do not install and think you are done because you will never be done. Cultivate a few search experts to stick with the evolving landscape and give them the means to keep up with changes in the search landscape. It is going to keep morphing for a long time to come. Attending conference sessions where case studies are being given by those deploying or using software is important, but discussions on the side can also be valuable. People who show up at our Gilbane Conferences are a sharing crowd and are easy to network with. As the track chairman for all the enterprise search sessions in San Francisco, I plan to hold at least one and maybe two roundtable discussions, open to anyone who wants to participate in a free flow of ideas about enterprise search. This will likely be in the location of the lunch venue – so we can pick at our food and each others’ brains, simultaneously. Over the next couple of weeks, I plan to showcase the themes for our search sessions in San Francisco, beginning with the Search Keynote. Last year in Boston we had a panel discussion of search executives and analysts; that was a great discussion. This June I am going to thrust Steve Arnold, author of our new publication Beyond Search, into our spotlight with a series of questions about the marketplace to discover things that he thinks buyers should be focused on over the next six months plus soliciting some thoughts on selecting appropriate technologies. He will surely add commentary on the changing vendor landscape and what it means. Once I have had a go at questioning him, the audience will have a chance to seek his guidance. This is a “not to be missed” session so please put it on your calendar – it will not be recorded. To warm you up to Mr. Arnold’s style and range of thoughts on the subject, check out this recent interview he gave to Jess Bratcher of Bratcher & Associates. Called to account for the nomenclature “enterprise search,” which is my area of practice for The Gilbane Group, I will confess that the term has become as tiresome as any other category to which the marketplace gives full attention. But what is in a name, anyway? It is just a label and should not be expected to fully express every attribute it embodies. A year ago I defined it to mean any search done within the enterprise with a primary focus of internal content. “Enterprise” can be an entire organization, division, or group with a corpus of content it wants to have searched comprehensively with a single search engine. A search engine does not need to be exclusive of all other search engines, nor must it be deployed to crawl and index every single repository in its path to be referred to as enterprise search. There are good and justifiable reasons to leave select repositories un-indexed that go beyond even security concerns, implied by the label “search behind the firewall.” I happen to believe that you can deploy enterprise search for enterprises that are quite open with their content and do not keep it behind a firewall (e.g. government agencies, or not-for-profits). You may also have enterprise search deployed with a set of content for the public you serve and for the internal audience. If the content being searched is substantively authored by the members of the organization or procured for their internal use, enterprise search engines are the appropriate class of products to consider. As you will learn from my forthcoming study, Enterprise Search Markets and Applications: Capitalizing on Emerging Demand, and that of Steve Arnold (Beyond Search) there are more than a lot of flavors out there, so you’ll need to move down the food chain of options to get it right for the application or problem you are trying to solve. OK! Are you yet convinced that Microsoft is pitting itself squarely against Google? The Yahoo announcement of an offer to purchase for something north of $44 billion makes the previous acquisition of FAST for $1.2 billion pale. But I want to know how this squares with IBM, which has a partnership with Yahoo in the Yahoo edition of IBM’s OmniFind. This keeps the attorneys busy. Or may-be Microsoft will buy IBM, too. Finally, this dog fight exposed in the Washington Post caught my eye, or did one of the dogs walk away with his tail between his legs? Google slams Autonomy – now, why would they do that? I had other plans for this week’s blog but all the Patriots Super Bowl talk puts me in the mode for looking at other competitions. It is kind of fun. Enterprise search applications abound in the technology marketplace, from embedded search to specialized e-discovery solutions to search engines for crawling and indexing the entire intranet of an organization. So, why is there so much dissatisfaction with results and heaps of stories of buyer’s remorse? Are we on the cusp of a new wave of semantic search options or better ways to federate our universe of content within and outside the enterprise? Who are the experts on enterprise search anyway? You might read this blog because you know me from the knowledge management (KM) arena, or from my past life as the founder of an integrated enterprise library automation company. In the KM world a recurring theme is the need to leverage expertise, best done in an environment where it is easy to connect with the experts but that seems to be a dim option in many enterprises. In the corporate library world the intent is to aggregate and filter a substantive domain of content, expertise and knowledge assets on behalf of the specialized interests of the enterprise, too often a legacy model of enterprise infrastructure. Librarians have long been innovators at adopting and leveraging advanced technologies but they have also been a concentrating force for facilitating shared expertise. In fact, special librarians excel at providing access to experts. We are drowning in technological options, not the least of which is enterprise search and its complexity of feature laden choices. However, it is darned hard to find instances of full search tool adoption or users who love the search tools they are delivered on their intranets. So, I am adopting my KM and library science modes to elevate the discussion about search to a decidedly non-technical conversation. I really want to learn what you know about enterprise search, what you have learned, discovered and experienced over the past two or three years. 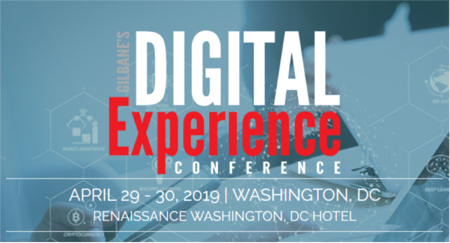 This blog and the work I do with The Gilbane Group is about getting readers to the best and most appropriate search solutions that can make positive contributions in their enterprises. Knowing who is using what and where it has succeeded or what problems and issues were encountered is information I can use to communicate, in aggregate, those experiences. I am reaching out to you and those you refer to complete a five minute survey to open the door to more discussion. Please use this link to participate right now Click Here to take survey. You will then have the option to get the resulting details in my upcoming research study on enterprise search. Just to prove that I still follow exciting technologies, as well, I want to relay a couple of new items. First is a recent category in search, “active intelligence,” adopted as Attivio’s tag line. This is a start-up led by Ali Riaz and officially launched this week from Newton, MA. Then, to get a steady feed of all things enterprise search from guru Steve Arnold, check out his new blog, a lead up to the forthcoming Beyond Search: What to Do When Your Search Engine Doesn’t Work to be published by The Gilbane Group. You’ll be transported from the historical, to the here and now, to the newest tools on his radar screen as you page from one blog entry to another. I have seen some excellent analysis contributing relevant commentary to this discussion, some misinterpretation of what the distinction’s are between enterprise search and Web search, and some conclusions that I would seriously debate. You’ll forgive me if I don’t include links to the pieces that influenced the following comments. But one by Curt Monash in his piece on January 14 summarized the state of this industry and its already long history. It is noteworthy that while the popular technology press has only recently begun to write about enterprise search, it has been around for decades in different forms and in a short piece he manages to capture the highlights and current state. FAST Search & Transfer has been involved in many aspects of search technologies for a decade. Soon after landing on our shores it was the search engine of choice for the U.S. government’s unifying search engine to support Internet-based searching of agency Web sites by the public. Since then it has helped countless enterprises (e.g. governments, manufacturers, e-commerce companies) expose their content, products and services via the Web. FAST knows a lot about how to make Web search better for all kinds of applications and they will bring that expertise to Microsoft. Google is exploiting the Web to deliver free business software tools that directly challenge Microsoft stronghold ( e.g. email, word processing). This will not go unanswered by the largest supplier of office automation software. For more on the competition between the two check this article out. Enterprise search has been implied to mean only search across all content for an entire enterprise. This raises another fundamental problem of perception. Basically, there are few to no instances of a single enterprise search engine being the only search solution for any major enterprise. Even when an organization “standardizes” on one product for its enterprise search, there will be dozens of other instances of search deployed for groups, divisions, and embedded within applications. Just two examples are the use of Vivisimo now used for USA.gov to give the public access to government agency public content, even as each agency uses different search engines for internal use. Also, there is IBM, which offers the OmniFind suite of enterprise search products, but uses Endeca internally for its Global Services Business enterprise. Finally, on the issue of expectations, most of the vendors I have heard from are excited that the Microsoft announcement confirms the existence of an enterprise search market. They know that revenues for enterprise search, compared to Web search, have been miniscule. But now that Microsoft is investing heavily in it, they hope that top management across all industries will see it as a software solution to procure. Many analysts are expecting other major acquisitions, perhaps soon. Frequently mentioned buyers are Oracle and IBM but both have already made major acquisitions of search and content products, and both already offer enterprise search solutions. It is going to be quite some time before Microsoft sorts out all the pieces of FAST IP and decides how to package them. Other market acquisitions will surely come. The question is whether the next to be acquired will be large search companies with complex and expensive offerings bought by major software corporations. Or will search products targeting specific enterprise search markets be a better buy to make an immediate impact for companies seeking broader presence in enterprise search as a complementary offering to other tools. There are a lot of enterprise search problems to be solved and a lot of players to divvy up the evolving business for a while to come. I closed 2007 with some final takeaways from the Gilbane Conference and notes about semantic search. Already we are planning for Gilbane San Francisco and you are invited to participate. There is no question that enterprise search, in all its dimensions, will be a central theme of several sessions at the conference, June 17th through 19th. I will lead with a discussion in which a whole range of search topics, technologies and industry themes will be explored in a session featuring guest Steve Arnold, author of Google Version 2.0, The Calculating Predator. To complement the sessions, numerous search technology vendors will be present in the exhibit hall. A most important conference component will be a highlight for conference goers, shared-experiences about selecting, implementing and engaging with search tools in the enterprise. Everyone wants to know what everyone else is doing, learning and what they know about enterprise search. You may want to present your experiences or those of your organization. If you are interested, considering presenting, know of a good case study, usability or “lessons learned” from implementing search technology, please raise your hand. You can do this by reaching out through this link to submit a proposal and make reference to the “enterprise search blog call for papers.” You can be sure I’ll follow-up soon to explore the options for you or a colleague to participate. This is a great opportunity to be part of a community of practitioners like you and attend a conference that always has substantive value for participants. Leave it to Microsoft to end the year with a big announcement and open the next one with an even bigger one. We knew that the world of enterprise search was going to contract in terms of the number of established vendors, even though it is expanding in new and innovative offerings. Microsoft had to make a bold play in an industry where Google has been the biggest player on the WWW stage while reaching deeper into the enterprise, tickling at Microsoft’s decades-old hold on content creation and capture. So, with the acquisition of FAST Search & Transfer, whose technology may not be the best in the enterprise search market but is certainly the most widely deployed at the high-end, Microsoft opens with a direct challenge to its largest competitor. Boy! Have the emails been flying this morning. At least I know there will be plenty of material to ponder in the next few weeks and months. P.S. Don’t miss the action in San Francisco!